Nike unveiled the Zoom Kobe 1 Protro, an evolved retro that is tailored to fit the needs of today’s athlete without compromising its original design. The Protro, a combination of the words “performance” and “retro”, will feature full-length Air Zoom cushioning and a lighter build while featuring the black/yellow colorway of its first iteration. 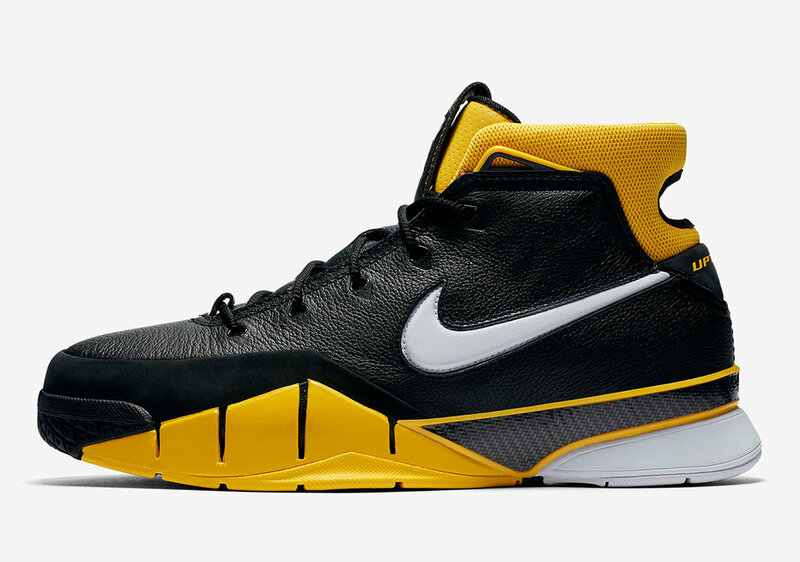 It appears that Nike has big plans for Zoom Kobe 1 as we’ve already learned of a collaboration with LA-based UNDEFEATED, while the timing of the releases appear to coincide with the NBA All-Star game taking place in Los Angeles, the city where Bryant made his name. There certainly is more to come from the revived Nike Kobe footwear legacy, and it all starts next week. The Zoom Kobe 1 Protro will release on 2/17 for $175 on nike.com and the SNKRS app at 11 AM EST.